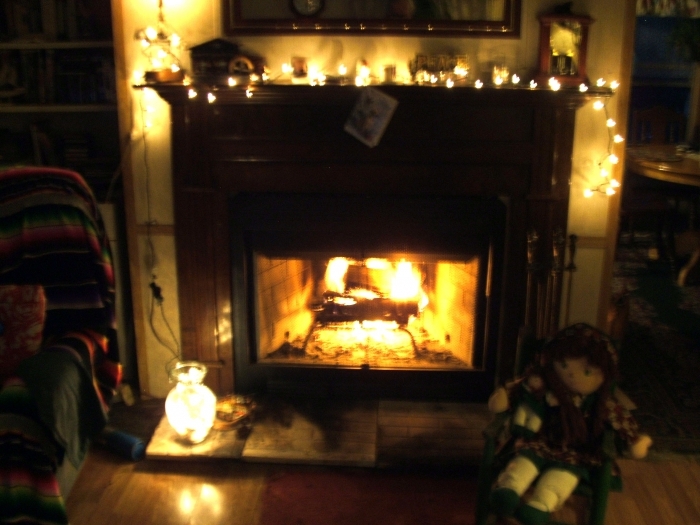 Keeping your fireplace running properly involves eliminating cross drafts and breezes that can affect the flame. This shield from IHP/Superior has 2 walls, creating a built in source of insulation, and the durable materials create a long lasting solution for your venting needs. This product works perfectly in conjunction with 8 inch pipe lengths from IHP/Superior that are double walled, and when used together, these vent materials can eliminate drafts and keep your fireplace running properly. IHP/Superior Wood Fireplace Chimney Support for 8 Inch Chimney Pipe. Only IHP/Superior Chimney Wood Fireplace Chimney Liners and Chimney Liner Accessories are approved for use with IHP/Superior Wood Fireplaces. They are UL approved and are not for use with any product other than IHP/Superior Wood Burning Fireplaces. * Please Note: This model is a direct replacement to the previously available FMI Bungalow B36L. Look around, and you'll find that the Superior - Builder 36 Inch Circulating Wood Burning Fireplace is one of the many examples of high-quality, aesthetically beautiful woodburning fireplaces we have to offer. Modern homes require a great number of different woodburning fireplace options, and we have them all covered: Indoor or outdoor, small or large, simple or showy, traditional or see-through. The main benefit of the Superior - Builder 36 Inch Circulating Wood Burning Fireplace is the most obvious. You get a durable, well-constructed fireplace without having to fabricate it yourself, and you can install it where you want it. Maybe you have an existing fireplace that could use an upgrade, or maybe you have a whole new location in mind. Whatever your needs, you can be sure that the Superior - Builder 36 Inch Circulating Wood Burning Fireplace will provide the benefits of a traditional, built-in fireplace with a fraction of the headache. Homeowners, it's pretty simple. If you don't have the time, money, or ability to build a fireplace yourself or have someone do it for you, look for the only option that can satisfy the same needs. Look to the Superior - Builder 36 Inch Circulating Wood Burning Fireplace to help you solve those tricky heating problems and provide a gathering place for friends and family today. Does it comes with vent pipes all the way to the roof or are they sold separately? Venting for this fireplace is sold separately. 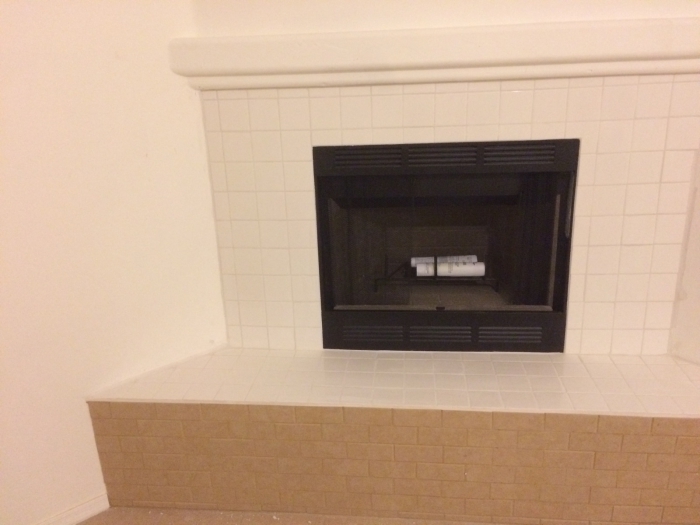 Is this an EPA Phase II rated fireplace? This is not EPA Phase II rated. 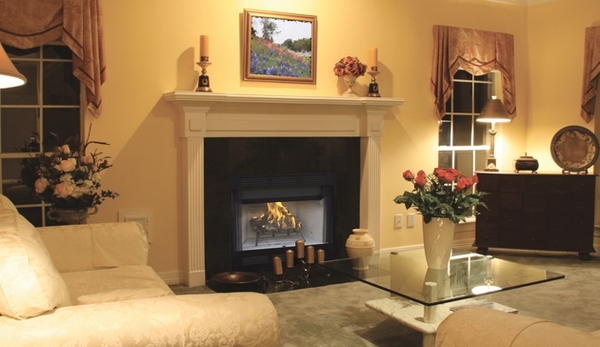 You will want to look at our EPA Certified Zero Clearance Fireplaces. 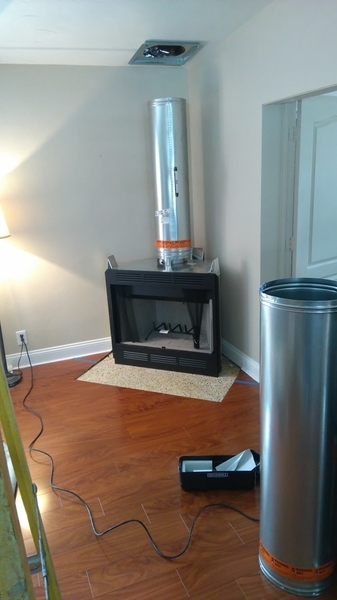 Can I convert this fireplace from a wood burning to a gas? 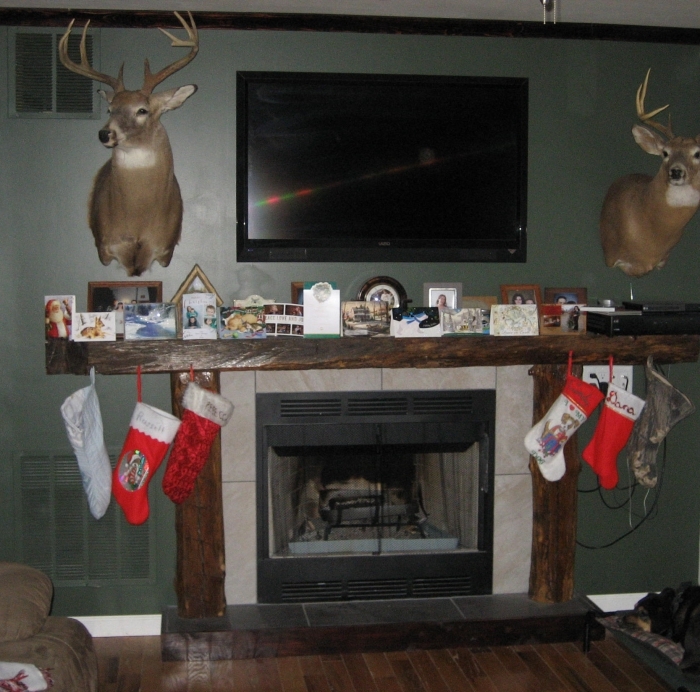 You can indeed install a gas log set inside of this fireplace. Can I run this unit in a triple wall class A chimney on the outside of the house without putting the chimney in a chase? Unfortunately, this unit can not utilize triple wall pipe, and if the pipe is on the exterior of the house, it must be enclosed in a chase. How much does this product weigh? This unit weighs 150 pounds. I am replacing a HC 3320A model is WCT 2036WS its replacement? While this is the closest in size, you will need to replace your existing vent pipe. Can it be installed in existing fireplace? Generally not, these are made for 2" by wall framed installations. Does this unit come with doors? No, the bi-fold glass doors are separately-purchased. Can this unit be installed directly on a wood sub-floor? Yes. A metal panel beneath the fireplace is only required when installing on carpet, non-ceramic tile, or other non-wood combustible material. Yes, you install this on a basic hardwood base. I used sanded hardwood sheets from the hardware store. Can I vent this through an exterior wall, then up run the chimney up on the outside of the house? Yes, you can use 30-degree elbows to offset the flue to go through a wall and then return the offset and continue the vertical rise over the roof. We would strongly recommend boxing in/framing the chimney within a chase on the exterior, as the pipe should not be exposed. Does this model come with an igniter? No wood fireplace will arrive with a gas log lighter, however, most all will have knockouts on either side for installing one. How far away from the wall does this need to be installed? This fireplace only requires a 3/4" clearance from the back of the fireplace to a combustible surface. Can this be installed on the inside of an exterior wall? You most certainly can if you are simply asking if this may be installed against an exterior wall with the chimney running straight vertically through the roof. Does this unit come with the circulation blower installed or is it just "ready" for a blower? This fireplace does not include the blower but can accept an optional one, if purchased separately. Can the front vents be covered with tile if a blower is not going to be used? No the grilles can not be covered at all, even if no fan is installed. 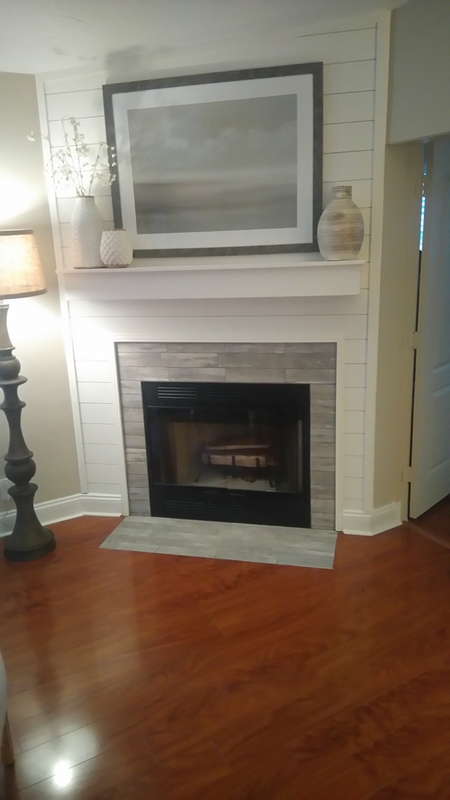 What is the minimum installed height of this fireplace? What lengths of pipe are needed to achieve this? The minimum chimney height for this fireplace, measured from the base of the fireplace to the flue outlet is 14.5 feet. To achieve this with this unit, you would need 11.5 feet of chimney pipe. Can I use this product on an interior wall with the chimney going straight up? Yes, and, in fact, we offer an interior wall vent kit that would include all of the necessary chimney components you would need. How many BTUs does this unit produce? This unit does not have a BTU rating, as it is a decorative wood burning appliance. 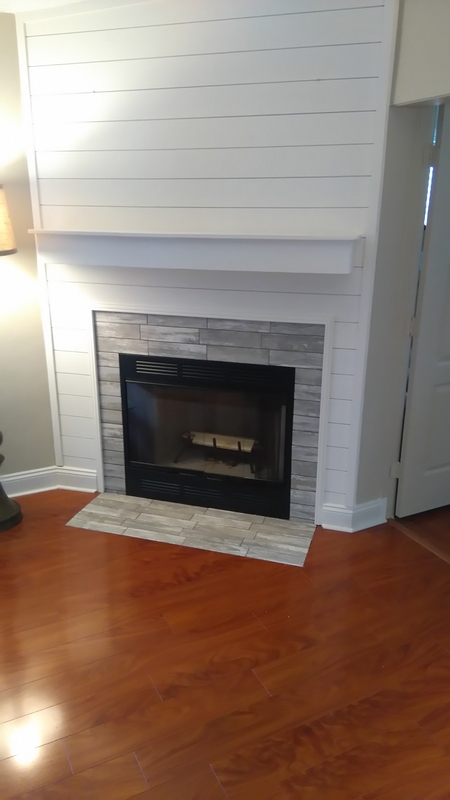 What kind of venting do I need with this fireplace? You may only use the listed 8" inner x 12 3/8" outer diameter IHP/Superior chimney with this model and cannot use the existing chimney. This will be the case with any manufactured wood burning fireplace. Do the warning stickers on the back and sides of the unit need to be removed for safety? These stickers should remain in place. 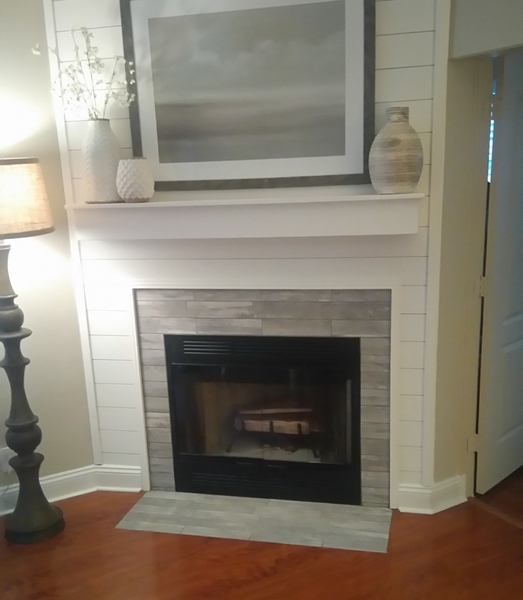 What is the center width of this fireplace? The center width of the interior opening is 29.3125". What is the maximum temperature that this unit can handle? The unit and chimney are both listed as a system and rated to handle 1,700 degrees intermittent with the standard 8DM chimney and 2,100 degrees intermittent with the 8HT chimney system. if I wanted to put in a corner how far would this come out the corner on each side? When measuring out along each wall from the 90 degree corner behind the fireplace, the distance from that 90 degree corner to the point where the fireplace wall meets the existing walls will be 47 3/8 inches. Is a screen included with the fireplace? Yes, there is a black mesh curtain screen included with this fireplace. Can this Superior 36" WCT Builder series circulating wood burning fireplace be vented out the side wall? It is possible to angle the vent through an outside wall at a 30 degree angle, however a true horizontal run with the Class A vent pipe this model uses is not possible. How many square feet can this Superior 36" WCT Builder series circulating wood burning fireplace heat? 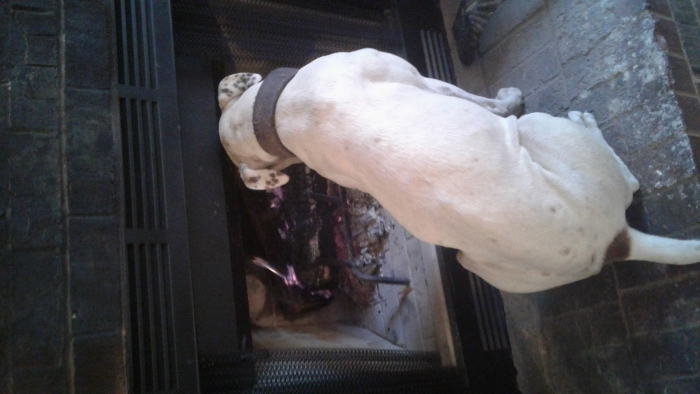 This fireplace is not recommended as a heating appliance. Open faced fireplaces pull a large amount of dilution air from the room during their operation. As such, they are intended for localized radiant heat only and for ambiance. Does this Superior 36 inch WCT Builder Series circulating wood burning fireplace have an ash dump in the bottom or do the ashes have to come out of the front? This fireplace does not have an ash dump. Are these Superior 36" WCT Builder series circulating wood burning fireplaces approved for installation in double wide homes? This unit can indeed be utilized in a mobile home. In order to do so, the firebox must be anchored and grounded. It must also be equipped with an outside air combustion kit. Is this Superior 36 inch WCT Builder Series circulating wood burning fireplace ULC approved for use in Canada? This wood burning fireplace complies with UL127-CAN/ULC-S610-M87. 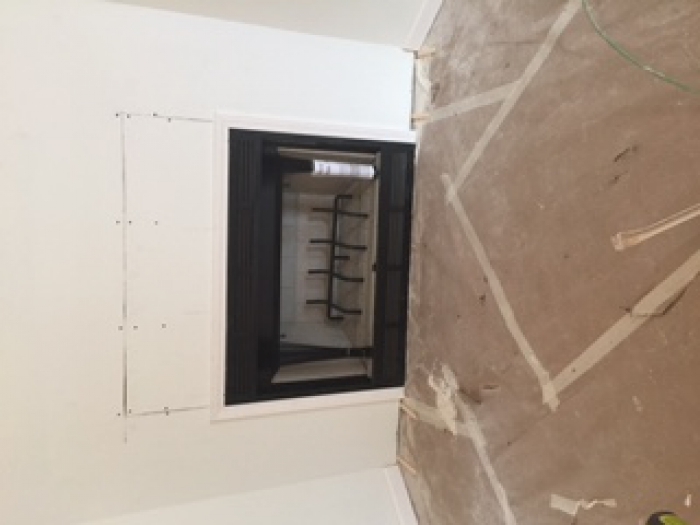 Can this Superior 36" WCT builder series fireplace be installed into an existing brick fireplace? 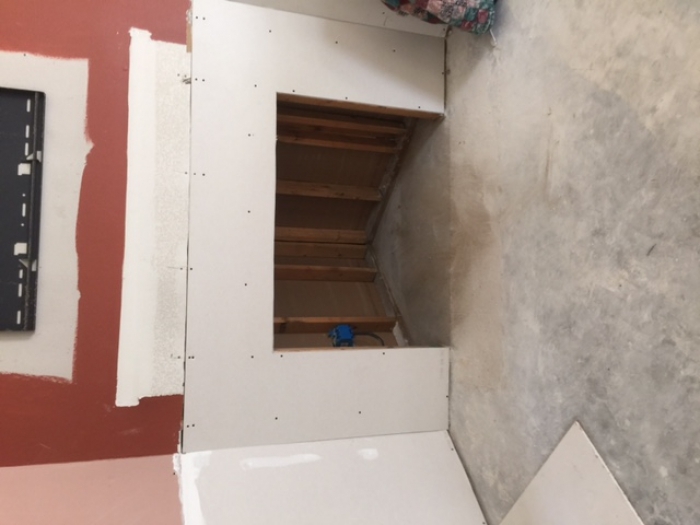 This unit is designed to be installed into a framed wall opening, rather than inserted into an existing masonry fireplace. 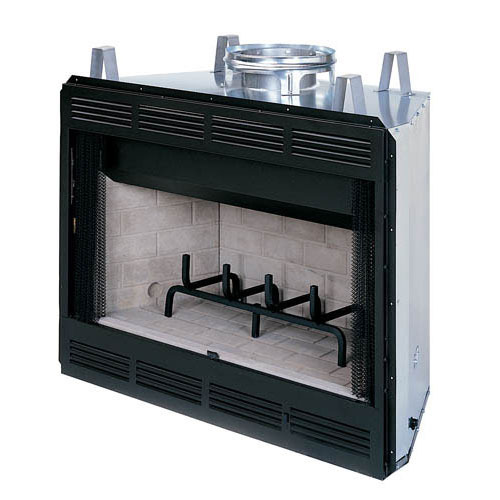 The unit requires the use of a double wall, rigid Class A chimney system. This type of system is not easily routed up an existing masonry chimney without extensive modification. Are there 45 degree elbow chimney pieces for this Superior 36" WCT builder series fireplace? This unit can not use any elbows with an angle over 30 degrees. Does this have a damper? Is it manually operated? Is the air intake completely closable? This unit does indeed have a built in manual damper. The combustion air kit, however, cannot be closed. Can I add a gas log set to this fireplace? This unit is indeed able to have a gas log set installed within it. It has knock outs on both the right and left side that will allow for running a gas line inside. Can this fireplace be used outdoors? Unfortunately, this unit is not approved for outdoor use. We apologize for the inconvenience. What do I build the frame work around the insert with? Some models require steel studs directly adjacent to and above the fireplace, however this model can be framed in with 2 x 4 lumber. Does this fireplace come with glass doors? The doors for this model do not come as standard, however they are listed under the accessories tab on the item page. What is the weight of the firebox? Can 1 man install this fireplace by himself? This unit weighs in at approximately 150 pounds. It is definitely light enough for 1 person to install with the help of a hand truck or dolly of some kind. Perfect product for my fireplace, high quality, nice installation thanks. Nice unit. Was easy to install. Looks great. ConsWill be very difficult for homeowner to install optional blower now that unit is securely in place. Blower on/off switch looks awkward in the middle of the unit, especially since there is no blower. Very nice piece, easy to install, works great. This fireplace is the perfect size for our Arizona Cabin. It has a grate and damper. It was quite easy to set up and use adn comes with a sliding screen. We added the black aluminum bi-fold doors and it works and looks very well with them. No complaints. Can't wait for our first fire! This item was delivered via freight delivery and was very well packaged. Arrived in perfect condition. It's still being set-up, but looking forward to our first fire. Thank you! Deceiving advertisement for this fireplace. I bought the 36" WCT Builder Series Circulating Wood Burning Fireplace at an even cheaper price then what it is listed now. My problem was that it wasn't clear that it is a circulating fireplace but there wasn't a fan included for that circulation. I felt somewhat deceived since there is nothing on the add that indicated that you had to buy the fan as an add on. Fast shipping. I had it in 3 days. ProsI had it it in two hours. ConsI had to pull the whole thing apart to but the blower inside. Just as described. Easy to install. Great purchase. 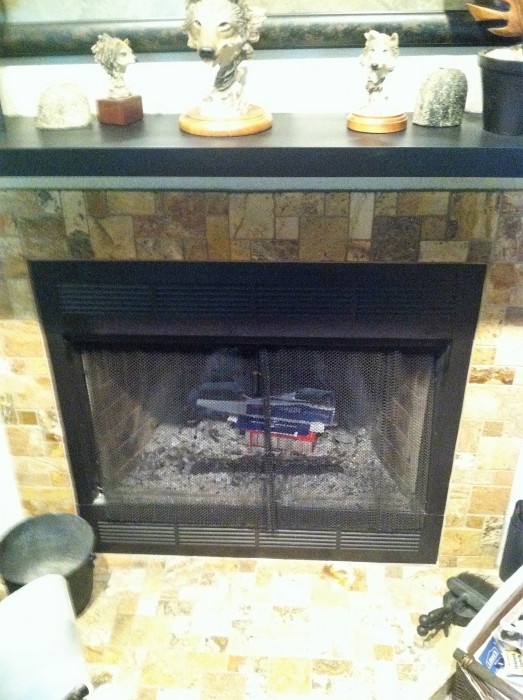 I purchased a fireplace insert and it arrived on time and with no damage from shipping. The overall experience from start to finish was flawless. I would recommend eFireplaceStore.com for your fireplace needs. I got my part's list together, I called to confirm what I needed. I ordered the new fireplace, flue, and accessories. Everything was delivered when they said it was, tracked daily. 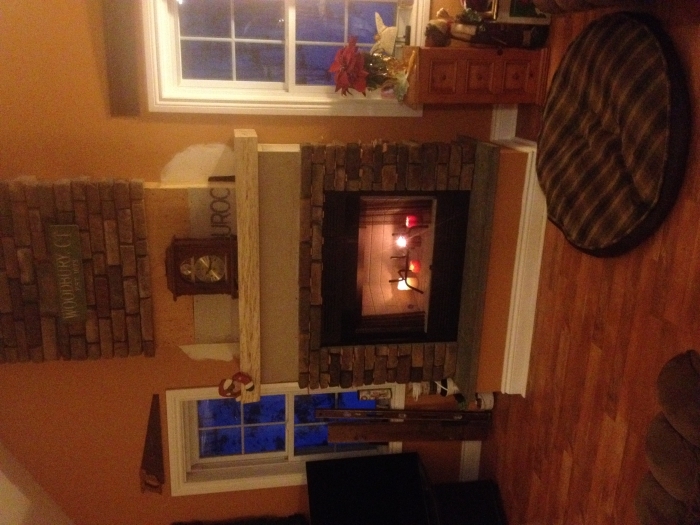 My new fireplace passed the city inspection the first time....Thank you eFireplaceStore. The intake air vent on the side slams a lot on a windy day. Very annoying. ProsCost is low. Fit is as advertised. ConsFlue is not easy to open and close. Air vent makes noise with wind. I received everything as ordered and it arrived as promised, on time.The flashing was a little bent on the edge but was easily straightened. It was as advertised, very easy to install. I will have to wait for cold weather now to use it. I am very satisfied. Perfect fireplace, very well built and super fast shipping arrived before expected and packed well. Almost impossible to find just a firebox these days. With minor adjustments, this unit will meet our needs for an "out back" cabin fireplace. The unit arrived quickly via Fed Ex ground. It installed quickly. The installation manual was a little vague and described several different units. So there wasn't a lot of guidance on the gas install, nor on the blower. The blower was interesting in that the connection only goes to an outlet inside of the fireplace. The unit did not come with a blower installed, so we had to take it apart to figure that out. But otherwise, it was very straight forward. ConsNot really clear on website, nor from installation manual, whether there was a blower installed or how that impacted electrical hook up. Great experience. The fireplace was delivered quickly, looks great! I am installing in my new home. Perfect Stove for Our Flip House. This stove was very easy to install. It looks great and is a perfect price for our flip home. Thanks to efireplaceStore for all your technical help and insight. I bought the 36" firebox online with a blower and glass door. It shipped quickly and is a great unit. I can't wait to build a fire in it soon. Shipment was damaged, warranty department took care of it. Product excellent quality and really good. I recommend this fireplace. The fireplace itself was what I was expecting. When it arrived the outer box was dented badly in the back. One of the liners was also broken and there were loose pieces under the removable plate that I have no idea where they go or what they are for. The liner piece was replaced in a reasonable amount of time after I filed a claim. Nice fireplace for the money. I've been wanting a fireplace for years, so my husband bought this and installed it for me as a Christmas gift. It came well packaged, and was fairly easy to install. The pipe/vent kit was quality material as well. ConsIt would be nice if there was a way to open/close the damper from the face of the unit instead of reaching up inside. Purchased this for a homeowners home as theirs was ruined due to the flood in Louisiana. They needed something that was very similar and very inexpensive. This was the lowest costs company for the exact same item. I needed to contact customer service for delivery and was able to connect and speak to them directly and have all my questions answered. Would recommend to Anyone remodeling and or updating. Freckles loves the new firplace! So far seems to be great. Delivered in a timely manner ordered on Saturday got it on Tuesday! Good overall quality, surprised a "circulating fireplace" didn't come with a fan. Easy installation, looks very clean a modern. Purchased this exact unit almost 20 years ago. After 20 year only a refractory brick panel needs replacing. Very very happy with this unit. ProsEconomical and easy to install. Well worth the investment. Perfect fit and finish. Works very well. Orderd my replacement fireplace from efireplacestore and it couldn't have been easier, all of my questions were answered and it arrived neatly packaged on time. Installation went without a problem. I haven't installed yet, so I can't rate functionality. However, shipping was quick and the product looks great. Can't wait to see a fire while sitting on our new deck! 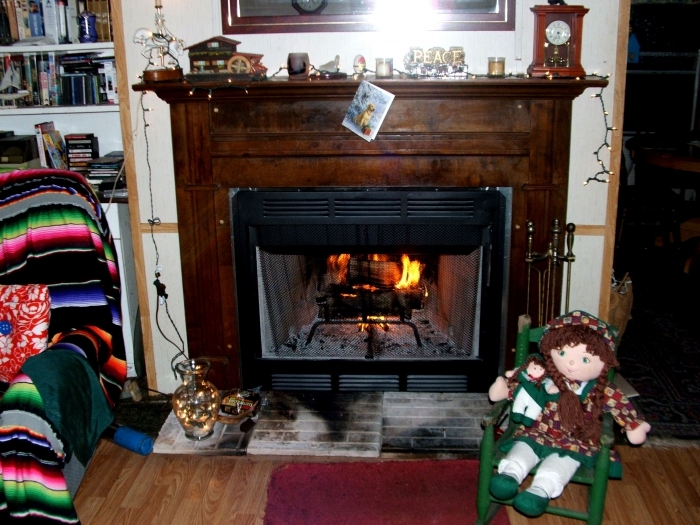 The fireplace was delivered straight to my home in excellent condition! Cannot wait to use it! Excellent product that arrived on time. Seems to be head & shoulders above local store offerings. A lot cheaper too! This was exactly what i was looking for and then some. i was shocked too see that it is pre wired for a fan blower! it arrived in perfect condition, the Delivery guy went out of his way as well! they were very helpful during the ordering. it shipped out right away. Very pleased with this purchase! as far as fireplaces go this one is fair. it makes noises. like the metal is contracting and as far as i know it is installed properly. Prosheats really well once it has been burning a little while. Conshad a little difficulty installing and the description did not make it absolutely clear that it did not come with fans. Has a neat clean appearance came with extras I was glad to have sales were confirmed in a friendly professional manner . While I haven't installed it yet so far I am pleased.